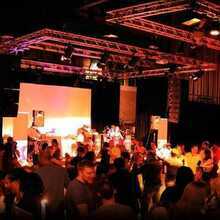 The traditional salsa, latin party in Ghent City - Belgium. 20:00 Reggaeton by Cathe (Ven). 21:00 Cuban Salsa by Karine Baila Tropical Dance school (Gent). 21:00 Kizomba by Mike and Sofie, Kiff Dance (Gent). Be there and enjoy it! Come to dance and enjoy it ! Welcome all - Van harte welkom - Bienvenidos !